This FlashPro is not for sale in US/Canada. Boost, ignition, fuel, cam control, torque table editing. From the factory ECUs made by Bosch for Honda cannot be programmed over OBDII and the ECU must be unlocked ('jail-breaking'). Browse through our 10th Generation Civic video playlist. All 10th generation Civic FlashPros include Bluetooth for a seamless connection to your ECU. Now you can display all your engine operating parameters in real time from your mobile device with the free Hondata mobile app. Hondata Mobile can be installed on your Civic Type R head unit for greater accessibility and ease of use. The FlashPro itself does not make power. The combination of parts and your engine makes the power. The FlashPro allows you to tune the correct cam angle fuel and ignition your car needs. The base maps are a great place to start though. Depending on the fuel, from 30-60 hp. Some modifications, like exhaust systems, need no dyno tuning. FlashPro Manager comes with a variety of tunes for different configurations. Pretty much all you have to do is select a tune with the matching modification level you wish and drive. You still have the option of custom tuning. The FlashPro is locked to one vehicle and will only work with a jailbroken ECU. One ECU and vehicle at a time. You can unlock the FlashPro by returning the ECU to stock, and then transfer to another vehicle as long as that vehicle's ECU has been jailbroken. Probably, but since we do not know what changes have been made by other parties we cannot say for sure. Yes. 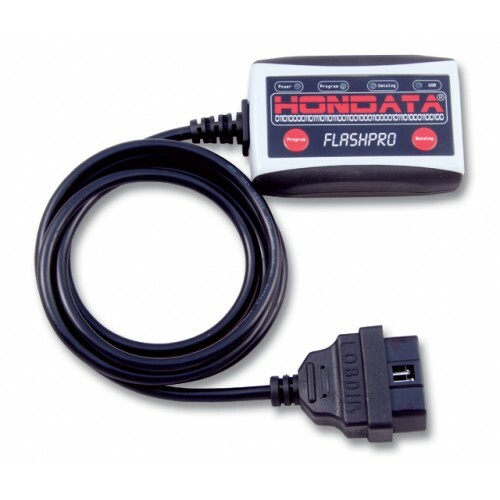 From the factory your ECU cannot be programmed via OBDII and must be jailbroken by Hondata. This tune you have is amazing. Simply and purely amazing. For starters the car feels like a whole new machine. As if we added a larger turbo onto the car. The responsiveness is way better, even more so in the improved throttle response tune. After Corey from Slowmotion and I spent over 7 hours and 15 reflashing trying to beat your numbers we only did so by a very close margin. That is what makes this tune so incredible. It really shows just how much research, development and effort you put into these maps. I did notice with your improved throttle response tune the steering wheel felt noticeably heavier in all modes. Which I really liked. 15 dyno pulls were done at 50F ambient temperature on a DynaPac 2000. Car did not overheat at all on the dyno and multiple back to back runs yielded exact same results and correction was set to SAE J1340 (1990) The gains (~ 50 hp and 100 lb ft torque) are absolutely massive compared to stock and if anyone is wondering just how close your tune is from a custom they now have proof. Again it took us over 15 reflashes to beat your tune across the entire pull. That is a feat that most packaged tunes never do: challenge us. Its amazing, it really is. I cannot tell you how happy I am with your product. Mere words cannot quantify such joy. Your team was awesome throughout the whole process, helping us with the tune while we were at it was unbelievable. Thank you on a prodigious scale. I can't wait to see what you come out with next. My car has a thermal exhaust and prototype intake. I'm running the stock DP and stock intercooler. This tune really shines in 3rd,4th, and 5th gear. the pull is amazing. Overtaking cars on the highway is a breeze. I don't know how I'd ever go back to stock. It's just amazing what the guys at Hondata have done with this tune. The team at Hondata has many many tricks up its sleeve. They are spending a ton of R&D to unleash the full potential of this platform. Their enthusiasm and passion for the FK8 is unlike anything I've seen before. My first reaction on the first drive is how smooth the power delivery came on. The torque increase is immediately noticeable and significant. You don't realize the how smooth the power is until you look at your speedometer. What once felt like 60 is now 80mph. Prior to the tune, my boost (running 91 octane in CA) was all over the place. On some occasions i'd hit 17-18psi and others (if the conditions were favorable) I would hit 21-22. On the Hondata tune, I'm seeing a very consistent 24-26PSI. I have multiple bolt ons and Hondata took my car to the next level. My first reaction is how noticeable the difference in horsepower and torque there was compare to stock. The power comes in much sooner with less lag, much more responsive than stock. This tune really shines in every gear now. I can feel a noticeable power difference especially in 3rd, 4th and 5th gear. The car pulls hard and pushes you back into your seat. It’s one of the best mods you can do to your car and well worth the money. You will not regret this purchase. Let’s me just start off by thanking Hondata. This new map is absolutely great , the throttle is so smooth now. 1st & 2nd , the torque tables have been lowered, personally I like it. 1st & 2nd didn’t feel uncontrollable or like I was going to spin. Just very smooth acceleration, I looked down once & saw around 17-18 psi in first & second. Now 3rd , holy crap 3rd pulls so hard I thought I was in second gear for a moment. 3rd , 4th & 5th pull very hard , all the way to redline. The boost doesn’t fluctuate, it’s rock solid now. I hopped on the interstate, did a small pull & noticed about 25-26 psi. The car was a blast to drive before , but now I’m just looking for excuses to go drive it. This is gunna be a fun journey adding modification, then being able to tune for them. Also I really like that @Hondata included lots of maps for when I start adding bolts on’s... I give this a A+++. If your on the fence about ordering this , go ahead & pull the trigger , you won’t regret it. 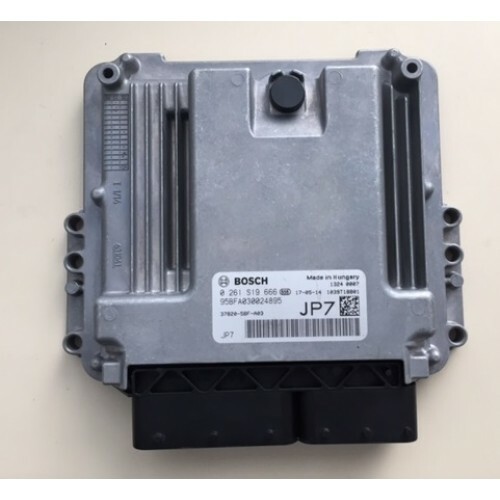 From the factory ECUs made by Bosch for Honda cannot be programmed over OBDII and must be sent to Ho..